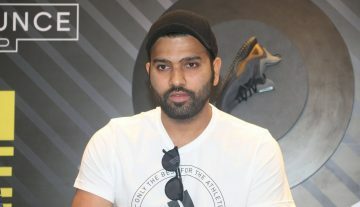 The Indian World Cup squad is scheduled to be announced in a week and as per the recent reports, limited-overs vice-captain Rohit Sharma was seen stumbling off the field holding his right thigh while running during a training session for the Mumbai Indians at Wankhede stadium on Tuesday. After taking a few steps it felt like it was a muscle pull as Rohit laid flat on the ground holding his head in pain. Mumbai Indians physio Nitin Pate rushed to attend the hurting batting star. The only bright side to the injury was the Indian opener did gingerly climb his way back to the dressing room on his own after receiving some treatment at the ground. Mumbai Indians are slated to face off against Kings XI Punjab on Wednesday and an official update on the seriousness of their captain’s injury is still awaited. The official Twitter handle posted a special GIF with Rohit gesturing his fans to relax and not to worry much about him. This is the second injury scare to an Indian World Cup prospect during IPL 2019 after leading speedster Jasprit Bumrah, also from Mumbai Indians, had hurt his left arm during the franchise’s first IPL game of the season. 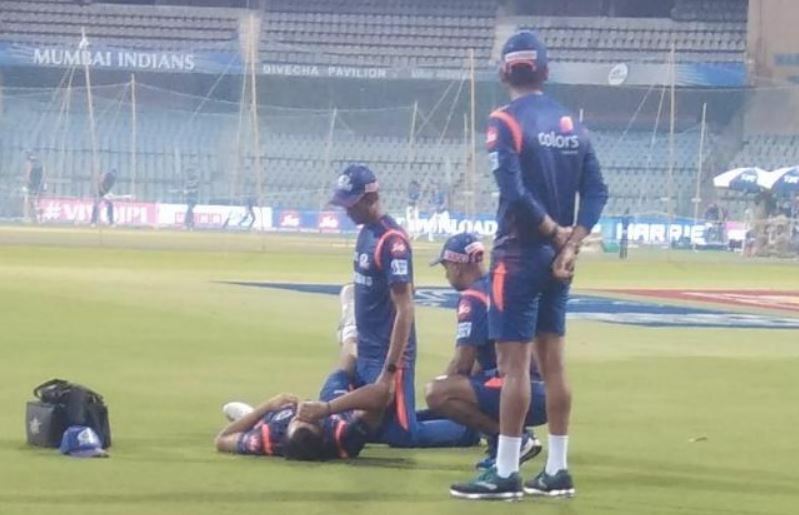 At the time, the MI physio had brought the injury to the attention of Team India physio Patrick Farhart and both of them collectively managed Bumrah’s injury treatment. Fortunately, Bumrah recovered in time and did not have to miss any IPL match. The same protocol is expected to be followed in Rohit’s case as the physios of the all the IPL franchises told to report any injury suffered by any of the Indian World-Cup prospects to the knowledge of Indian fitness support staff. Workload management continues will be playing a crucial role with only two and half weeks separating the IPL and the World Cup, slated to start in England on 30th of May.